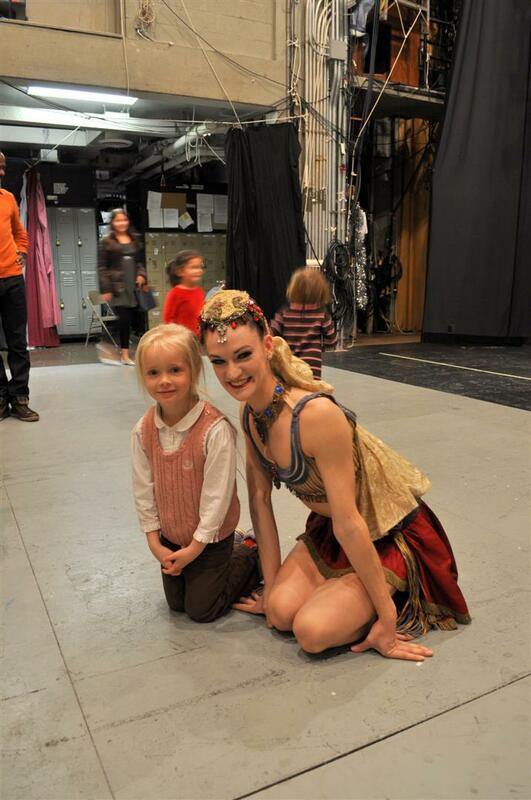 Last weekend our friend Megan, who dances in the New York City Ballet, gave us two tickets to attend The Nutcracker ballet at the Lincoln Centre, and Ben took Marica to go watch her dance. Marica was of course very excited to be able to go! 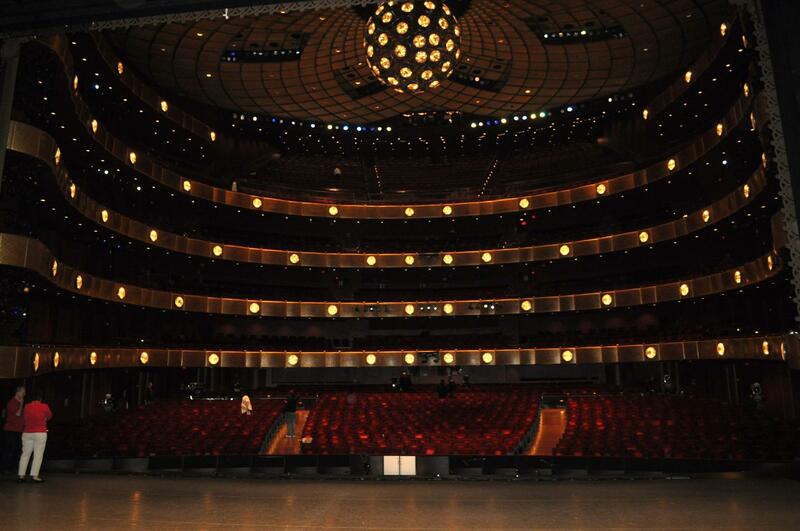 The company performs in the lovely David H. Koch theatre at the Lincoln Centre. Ben said the dancing was really spectacular (and when the Christmas tree grew, it was gigantic — about 8 metres around at the base). 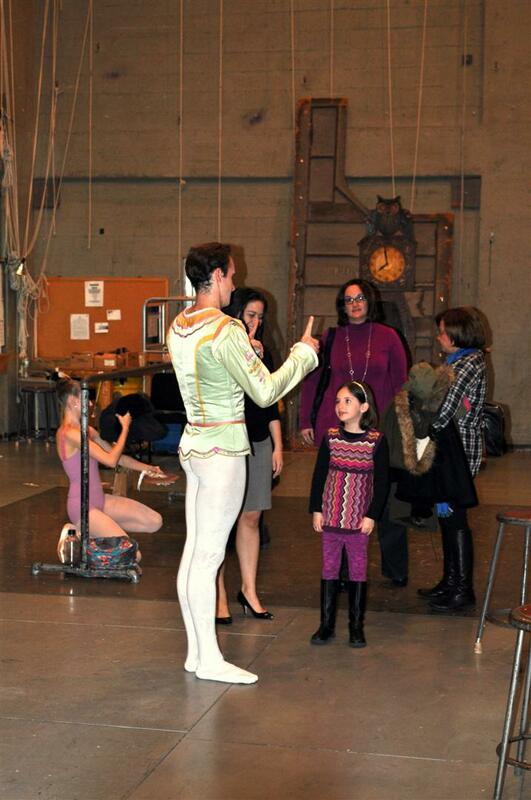 You’re not allowed to take photos of the performance, but Megan invited them backstage after the performance. Megan danced the part of “Coffee from Arabia” (a stunning solo dance set to almost haunting music that was very familiar, says Ben). They got to see the ‘snow’. 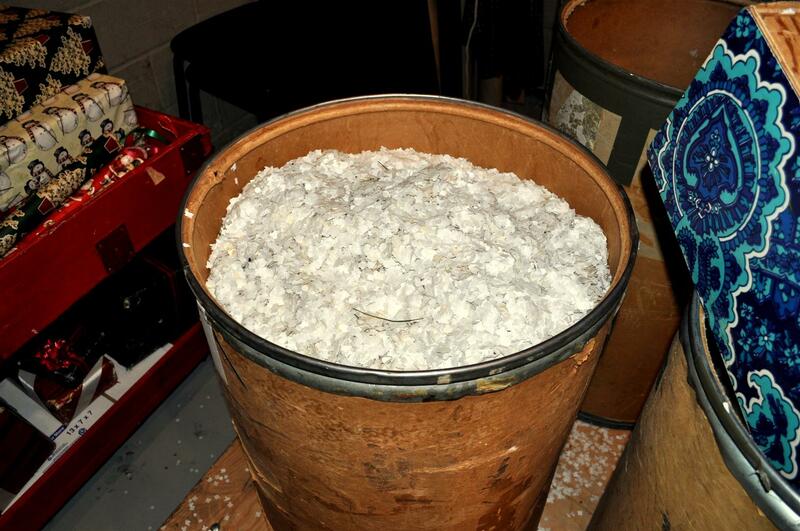 Looking at this picture makes it look just like a little bucket full of paper pieces. But this photo shows you the size of it. And there were about 4 of them! 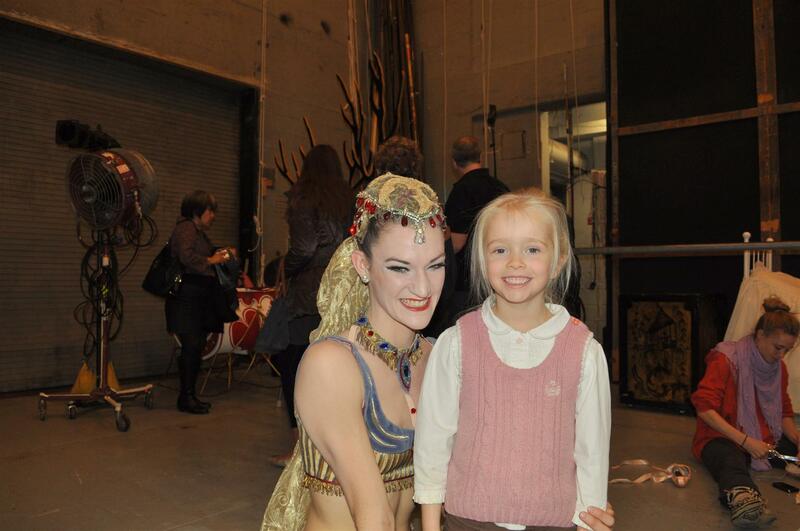 They also got to see some of the other ballet dancers. 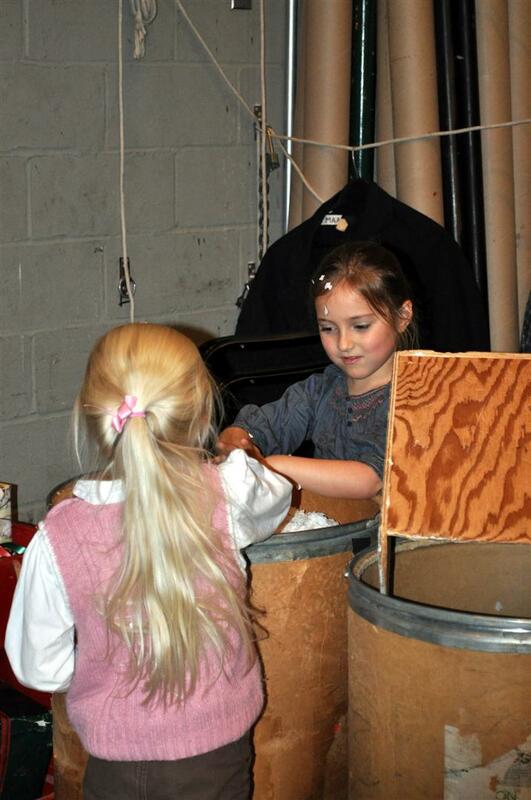 Another one of Megan with Marica. 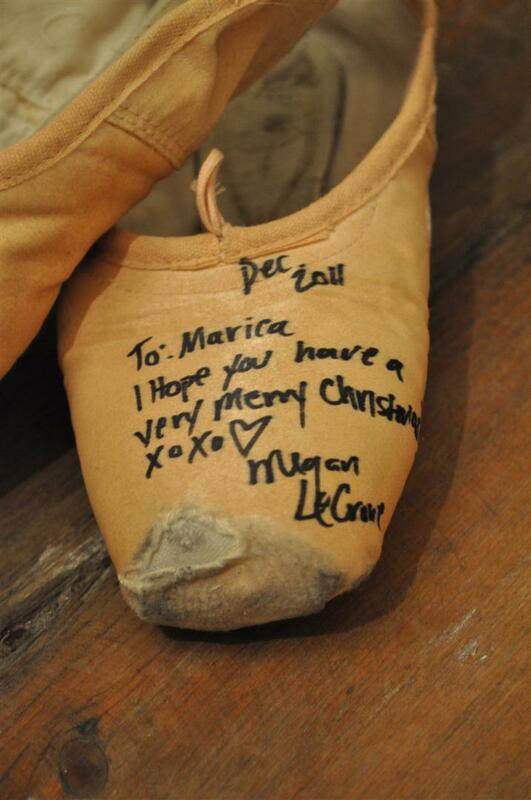 Afterwards, Megan signed her ballet shoes and gave them to Marica as a momento of this very special day. WOW! We watched it last night (or most of it…Mom and I went out for a walk in the middle of it) and saw Megan’s performance. 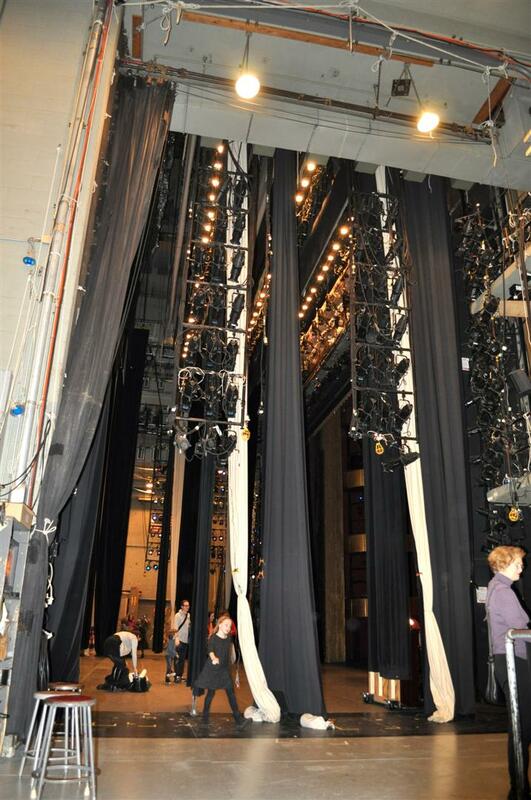 And–wow–what an experience to go backstage and see all these people in person and get signed ballet shoes!!! That will be a lasting memory, I hope. So glad two of you got to take that in. 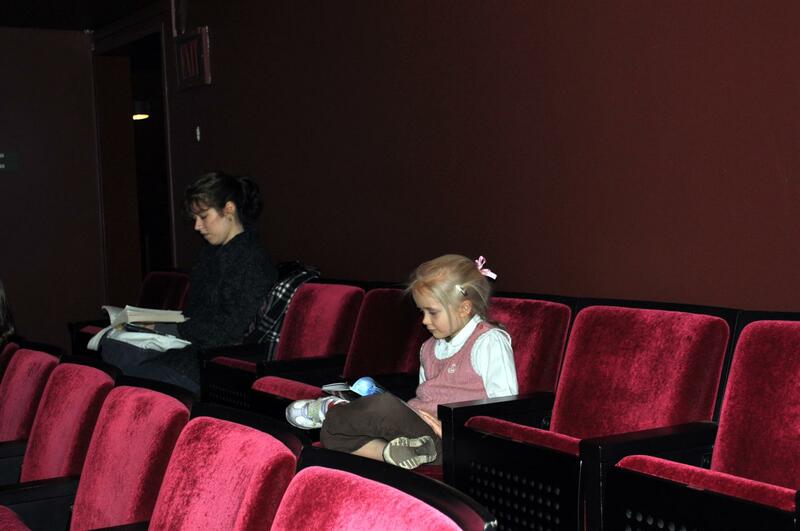 I’d gotten rather tired of the Nutcracker…too many indifferent Knoxville performances as a school child and too many piano recitals where we played pieces from the ballet–sometimes duets…but this renewed my interest in it. The Sugar Plum Fairy was amazing! Was it on TV, Hannah? How did you find out about that? On TV…PBS to be specific. Every once in a while they feature shows “Live from Lincoln Center” with interviews with the cast during the intermission. So cooooool! 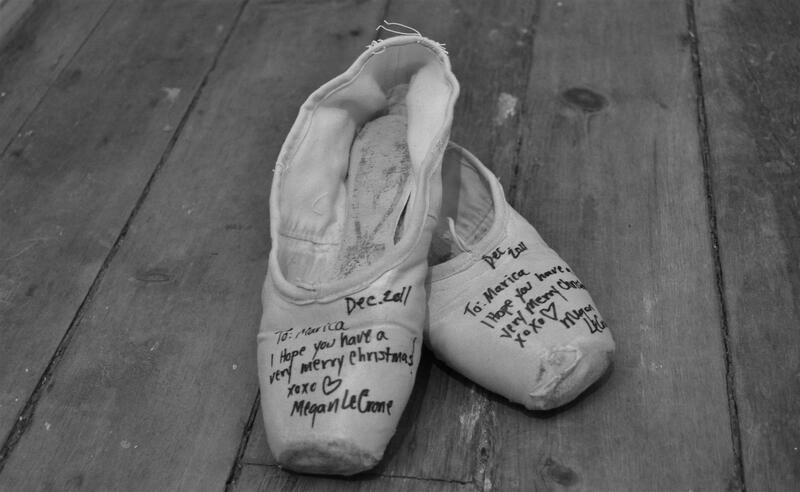 I love the signed ballet shoes. 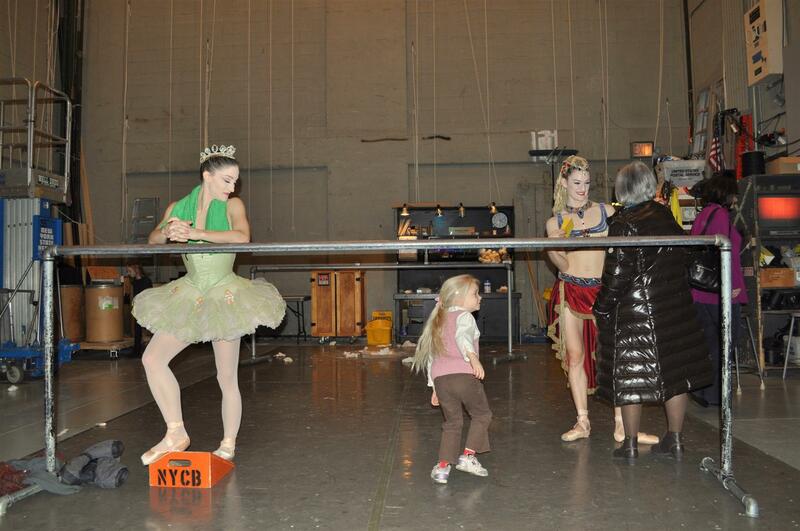 I’ll have to tell the ballet instructor I accompany for about this. Beautiful! I’m happy you got to have this experience. Looks like you have some friends in “high places”!